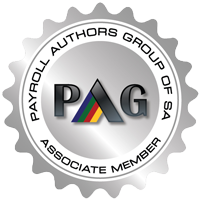 Pay Solutions strive to bring you the latest in updates and changes from government departments and SARS. SARS has announced the Voluntary Disclosure Programme (VDP) will begin on the 1st October 2016. Please read carefully to ensure this applies to you. 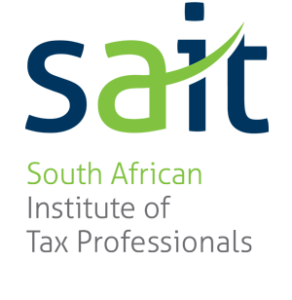 The SARS Voluntary Disclosure Programme (VDP) is administered under the Tax Administration Act, 2011 with effect from 1 October 2012. Subject to legislative approval, a Special Voluntary Disclosure Programme (SVDP) commenced on 1 October 2016, and is scheduled for a period of nine months ending on 30 June 2017. The SVDP is meant for individuals and companies who have not in the past disclosed tax and exchange control defaults in relation to offshore assets. A preliminary SVDP guide is available below, which will be updated from time to time. To assist you with your VDP queries, some questions and answers have been put together. For more detailed information, please consult the Guide at the bottom of the page. Contact details for the team are available at the bottom of this page. Media Release issued on 02 February 2016 – SARS continues crack down on non-compliance in cash ‘n carry sector. Media Release issued on 9 July 2015 – Foreign bank account holders are encouraged to make use of the Voluntary Disclosure Programme and file their VDP applications on or before 12 August 2015. What happens if a VDP application is incomplete? An incomplete VDP application is discarded by the VDP unit without further notice to the applicant. Do I need to be registered for eFiling to apply for VDP? Yes. It means that you first need to register on the eFiling system before you can apply for VDP. Can I object and appeal against a VDP assessment? No. The VDP assessment gives effect to the VDP agreement, and typically includes the disclosed additional taxable income and, depending on how long ago the default occurred, interest and late payment penalties. Can I request a remission of interest and/or penalties raised in a VDP assessment? No. The interest and penalties form part of the VDP agreement as well as the VDP assessment, both of which are final and binding. What’s the turnaround time for a successful VDP application? The average turnaround time per case is currently 16 working days. Can a representative person apply for VDP on behalf of the taxpayer? Yes, a representative person can apply for VDP on behalf of the taxpayer. What are the requirements for a representative person to apply on behalf of the taxpayer? Both the taxpayer and the representative taxpayer must be registered on eFiling and the representative taxpayer must be linked to the tax types and profiles. What if the following message ‘An anonymous application must be submitted where the applicant is not registered for the tax type that the VDP Application is for’ is displayed when submitting a VDP application? This is an indication that either the taxpayer or the representative person is not registered for the tax type on eFiling and the tax type is not linked to the profiles. Ensure that the taxpayer and the representative are linked on eFiling and the tax type is active on eFiling before submitting a VDP application via eFiling. If any issues, phone the SARS Contact Centre on 0800 00 7277. Although the application form is only available under eFiling, the documents in the block below are of importance to you. Draft Guide: Special Voluntary Disclosure Programme (v1.1) New! Disclaimer: The information for Voluntary Disclosure Programme (VDP) published off SARS website Pay Solutions will accept no liability if the information is used without first obtaining specific advice from SARS.